The Pocket 9 LED Torch Flashlight. 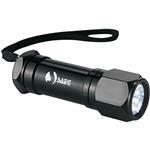 This promotional flashlight is affordable and powerful. 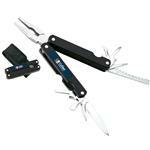 Made with a quality aluminum body, nine ultra bright LED bulbs, push button on/off switch on the end and a nylon wrist lanyard. A RUSH CUSTOM FLASHLIGHT - FREE 1-DAY RUSH PRODUCTION AVAILABLE! Same day production available - Inquire! Available Imprint Options: Pad Print or Laser Engrave. 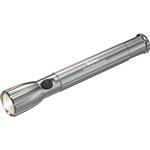 9 LED Flashlight, Aluminum Body. 50 pieces per carton, 26.50 lbs per carton, carton size 12.00" x 14.00" x 24.00"